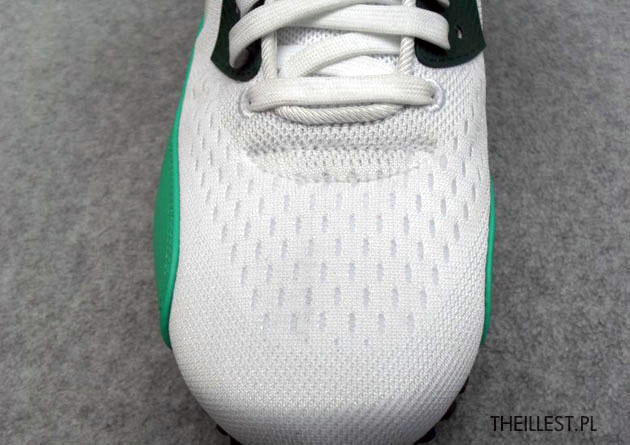 Following a look at the Tokyo edition earlier today, we now have our first preview of the Engineered Mesh Air Max 90 "Honolulu." 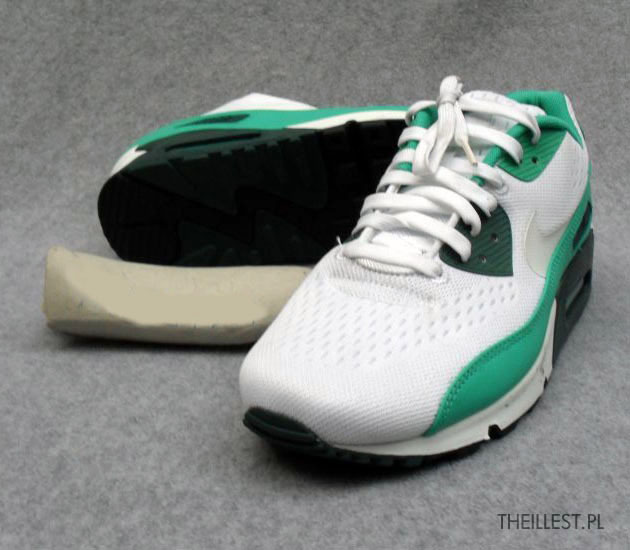 The Engineered Mesh Air Max 90 is hit with a simple color scheme, utilizing a predominantly white upper, a green suede mudguard and green eyelets. 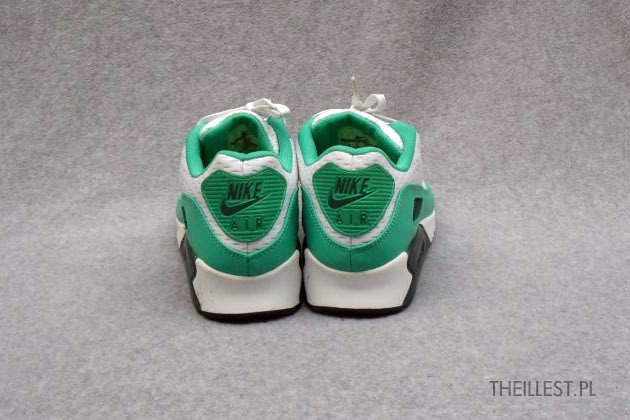 A classic Air Max 90 sole sits down below, covered in white and green. 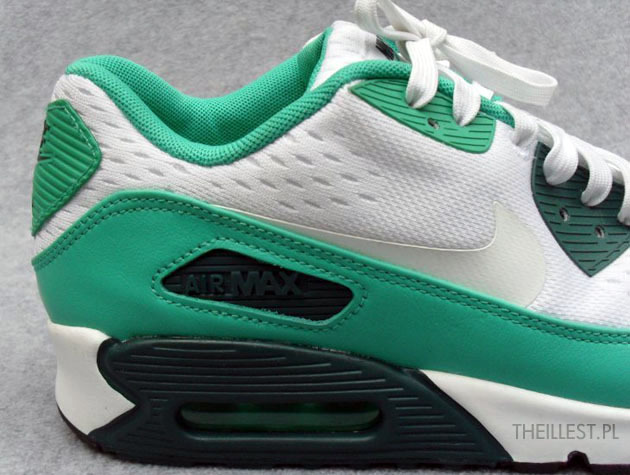 Hinting towards an upcoming special pack for 2013, this Air Max 90 EM features "Honolulu" written on the tongue. 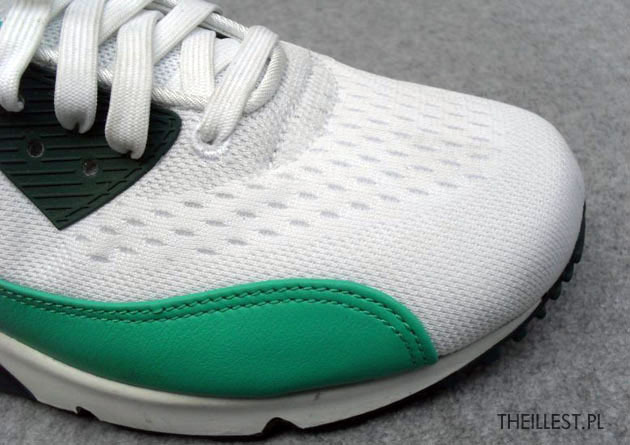 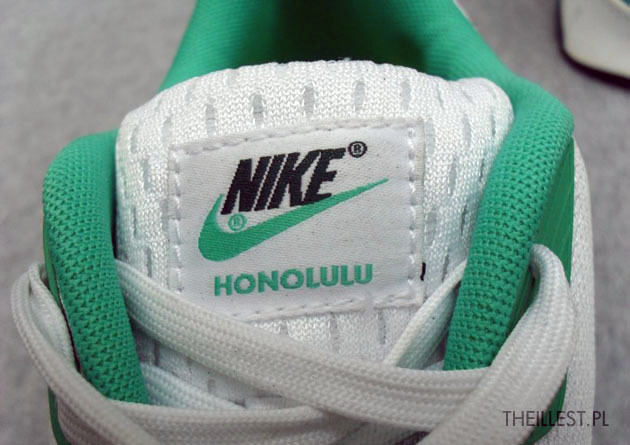 The "Honolulu" Air Max 90 EM is expected to hit early next year. 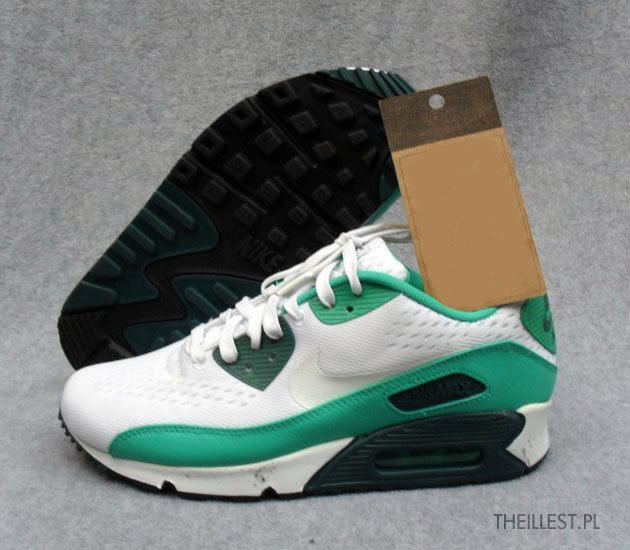 Stick with Sole Collector for further details.